Get it? “Dynamite,” the “bomb”…? 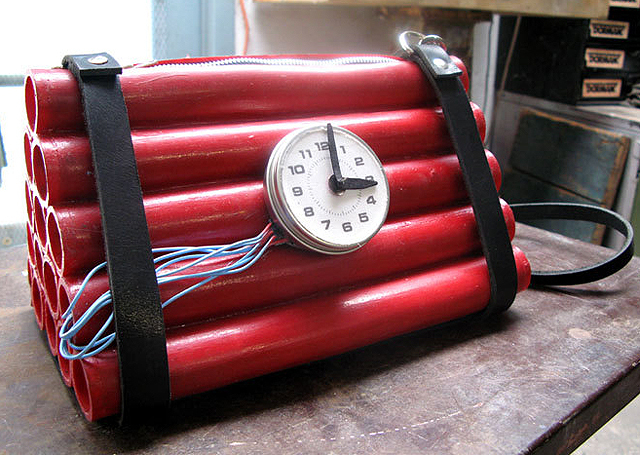 All puns aside, here’s the Bomb Purse, a handbag that looks like a ticking time bomb, complete with a clock timer and what appears to be a stack of red dynamite sticks. 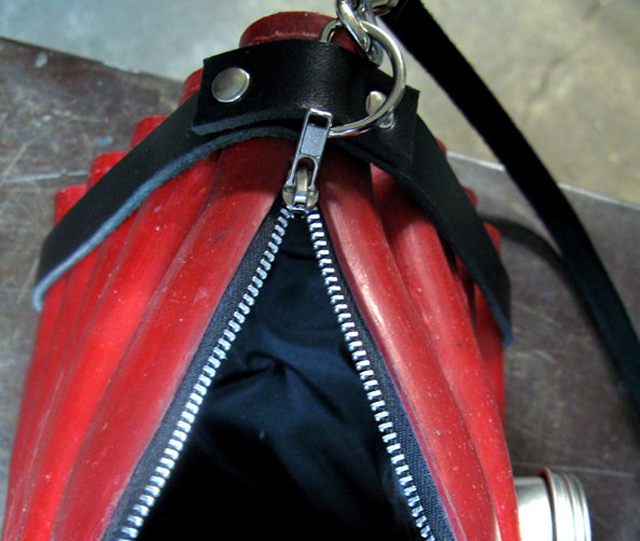 Made of latex and leather, this eyecatching bag is a handmade creation of Los Angeles-based Etsy seller ConcaveOblivion (who is better known for his deliciously creepy denture jewelry). It’s available in either glossy or natural matte finish for $3000.